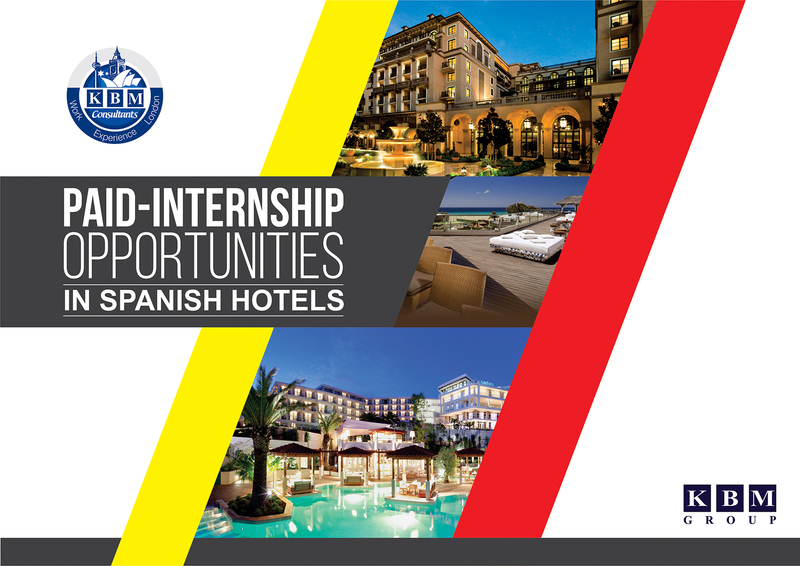 KBM Work Experience in London (WEIL), offers Paid Internship Opportunities at Spanish Hotels with special features of stipend, meal & accommodation. The stipend offered varies from 300- 650 Euros. The Job Positions are available in 3, 4& 5 Star Hotels. The Job Positions are of Front Desk Officer/ Receptionist in Spa, Waiter-Waitress, Staff, Asst-Waitress, Housekeeping, Bar Attendees/ Animators, Laundry Porters & Fitness Instructors. Hospitality and Tourism is among the world's most popular industries, employing over 60 million people globally. Having practical exposure in Hospitality and Tourism means both business and creative minds will have many opportunities to express themselves in a number of different situations and, because of the broad number of topics that encompass the subject. This Internship will provide a comprehensive knowledge of how international tourism works, plus detailed study on the supply chain, customer demand and the global forces impacting on the sustainability of tourism will be gained, and the skills, training and qualifications gained from working in Spanish Hotels will be in demand worldwide.